Small Houses Are Company Houses for Sunnyside Employees. T he history of the Silverton Northern Railroad begins with a Russian born immigrant named Otto Mears. Orphaned at the age of two, Mears set sail for America at the age of 10. At first he sold newspapers to earn a living and later he joined a volunteer military group during the Civil War. 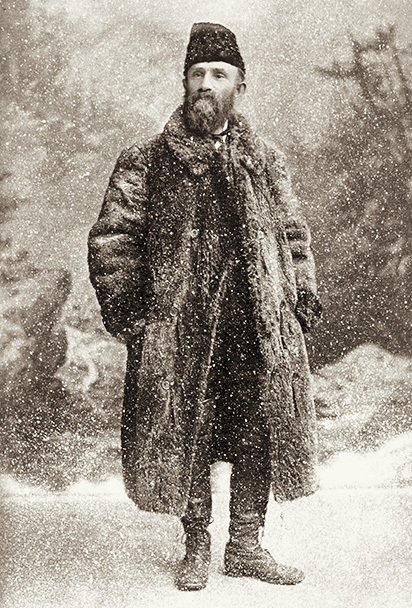 Once the war ended in 1865, Mears set off for the Colorado Territory. After trying his hand at a number of different ventures, Mears soon settled on building wagon roads and opened his first toll road over Poncha Pass, south of present day Salida. Eventually, he sold the road to the Denver and Rio Grande Railway at a good profit. Mears continued to develop toll roads into the mountains and invested in roads to many towns like Lake City, Ouray, Telluride, and the boom town of Silverton, in the heart of the San Juan Mountains. By 1887, Otto Mears saw that the future of transport in the Colorado mountains was the railways. 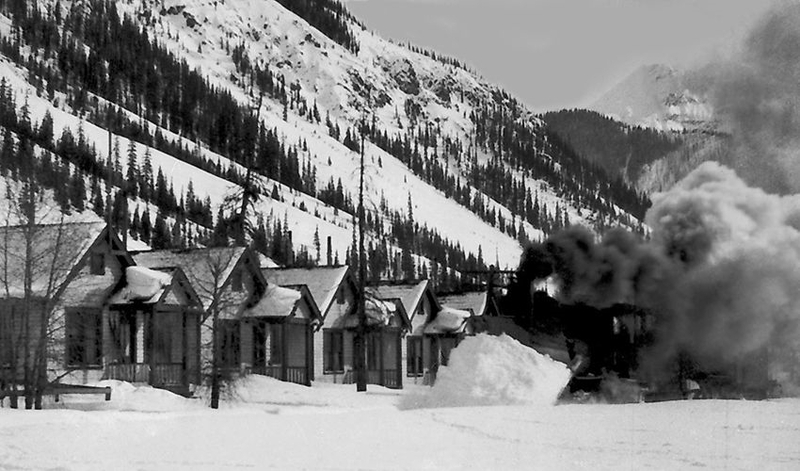 So, Mears incorporated the Silverton Railroad and began to build tracks from the town of Silverton, up Cement Creek and over the 11,500 ft. Red Mountain Pass, then on to the mining camps of Red Mountain and Ironton. Mears' entire new railroad was built along the route of one of his toll roads that he had previously built. The mainline of the Silverton Railroad ran west out of the town of Silverton, but by 1892, Mears decided to build a 2 mile branch of the railway towards the north in order to serve the mines along the upper Animas River. By 1895, the mines along this new branch line of the Silverton Railroad had discovered gold and further north, the town of Eureka was building a huge new processing mill. So, Mears decided that he needed to extend the Silverton Railroad into this new, rich area north of Silverton. However, he was concerned that the struggling silver mines located along the original mainline to the west would eventuality bankrupt the railroad and he knew that this would bring down this new, profitable branch line as well. Copyright © 2014-2016 Silverton Northern Railroad. All Rights Reserved.